Whether it is running or a hike into the unknown, nothing is more important than your gear. The T-shirt doubling up as your football jersey, the casual loafers acting as your runners, or the smartphone trying to be a fitness tracker are all traps for the unwary and something only a "newb" would do. If you're serious about pushing your physical capabilities to their absolute limits and in the process attain high fitness levels worth envying, then you need to complement your commitment with a fitness tracker. Luckily, we’ve evaluated them and come up with three, of which one will definitely suit you. Why Shouldn’t You Use Your Smartphone for Tracking your Fitness Goals? If you're fitness goals are only a small component of your life, you can use your smart watch or even smartphone to track your goals and achievements. However, if you are a more serious fitness enthusiast/athlete and want the least additional weight and the fitness data to be accurate, then you’ll not only need to ditch your smartphone but also find the best fitness watch with GPS. Smartphones are designed to be multipurpose while fitness watches are designed to focus solely on fitness tasks. This means two things. The first is that the smartphone is bigger, heavier, and difficult to manage while running, cycling, or even weight training. The second is that fitness watches offer more fitness tracking metrics, better accuracy, more advanced fitness-focused features, and even better customization options that serious fitness enthusiasts crave. Fitness watches even possess better battery capacity, something that can be crucial if your fitness goals take you on long excursions. There’s also the element of ruggedness. Fitness watches are typically designed to resist shocks, water, dust, and sweat. The same is not true for all smartphones. A smartphone being used for fitness tracking purposes will soon start showing signs of wear and tear. When it comes to fitness watches, you'll find a wide variety of options in the market. The most tempting, of course, will be the ones with low prices. You’ll probably think that it’s better to buy a cheaper fitness watch because you'll be working out with it and it may get damaged or lost. However, in the case of fitness watches, it is definitely the case of you get what you pay for. You'll face multiple challenges with the cheapest fitness watch options. The foremost of these will be the the absence of a builtin GPS system. These types of fitness watches will require you to integrate them with your phone so that your phone’s GPS system can be used. It will nearly be the same as using smartphone's because you'll have to carry them around with you. Furthermore, you'll end up with data inaccuracies, limited options, and the problem of managing your heavier and bigger phone along with your fitness watch. This is why if you're considering fitness watches, you should only consider those that have a built-in GPS system and ignore those that need your phone to actually track your progress. A fitness watch with a built-in GPS system will give you incredibly accurate information on distance travelled. It will also track your progress on builtin maps and you'll be able to see the route you’ve taken or even retrace it back to your starting point. However, the best fitness watch will have much more than these capabilities. What other features should you look for? 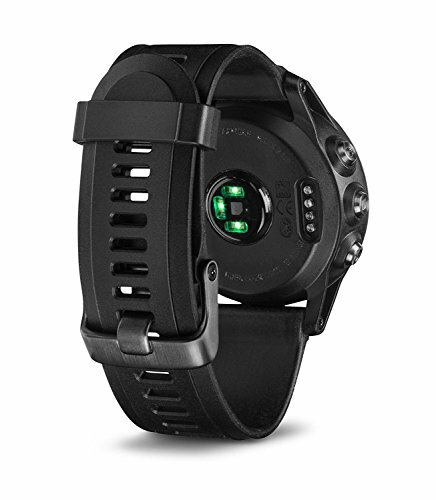 Heart Rate Monitor: The purpose of a heart rate monitor is to supplement the core function of fitness watches i.e. calculating distance traveled and calories consumed. If the watch has a heart rate monitor then the data gathered is more accurate and detailed. Find the latest Polar Heart Rate Monitors in our review. Multi-Sport Support: Commitment to fitness usually means commitment to various fitness-focused activities. While your primary activity may be running, hiking, swimming, cycling, or anything else, it wouldn’t be uncommon if you had interest in more than one. Therefore, it is better to keep multi-sport support or exercise recognition in mind while buying a fitness watch. Water Resistance: Generally, if a fitness watch supports multiple sports, then it will also offer great water resistance. This is important too because the really extreme sports feature water heavily. Even if you're not into extreme sports, you'll most probably be interested in swimming. A water proof watch can make things very convenient especially if it offers protection up to 100 meters. Wireless Compatibility: Wireless compatibility is important because it allows your fitness watch to be connected to other devices. This can help serious fitness enthusiasts in crunching numbers and tweaking their training regimes to gain better results. Smart Notifications: Smart notifications are helpful in keeping you connected to the world even while you're working out. The best fitness watches with smart notifications will be able to notify you for calls and texts on your phone. Some may even allow you to manage your music! Additional Features: As fitness watches evolve, newer features are added and each of them will improve your fitness regimes. For instance, sleep trackers will give you information on the quality of your sleep which is tantamount to proper training. Altimeters and barometers will make it easy for you to measure distance and calories burned, when you're climbing. They can help in assessing your climb up the stairs and a mountain equally well. We’ve taken into account all of the aforementioned aspects and analyzed virtually every product available in the market currently. Our careful study has yielded the three best options available to you. When you pay premium prices, you expect premium features. The Garmin Fenix 5 is what you should be considering. It is very expensive ($500+) and it is very loaded with high-end features. The Garmin Fenix 5 can track everything in all locations and this is why it is special. The number of outdoor sports it supports is truly staggering. In fact, we bet that you'll be hard-pressed to find an outdoor activity that this watch doesn’t track. It even supports parachuting! To do this, the watch has to be able to handle rugged environments and the Garmin Fenix 5 excels in that too. Just by holding / wearing this watch, you'll notice how sturdy and durable it is. 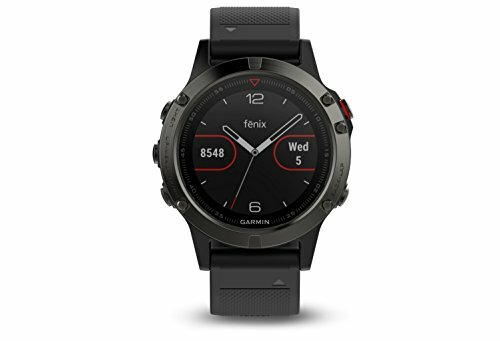 Additionally, Garmin has also managed to shrink the Fenix 5 in comparison to the Fenix 3. The smaller size is very helpful in activities where weight and size of your gear matter. The display on this device is one of its strong points too. There’s no touchscreen but then who wants to manage a touchscreen with sweaty hands. The display has five buttons around it and possesses a transflective surface which means that it uses sunlight to be brighter and clearer. The display interface is, of course, customizable enough to suit everyone. 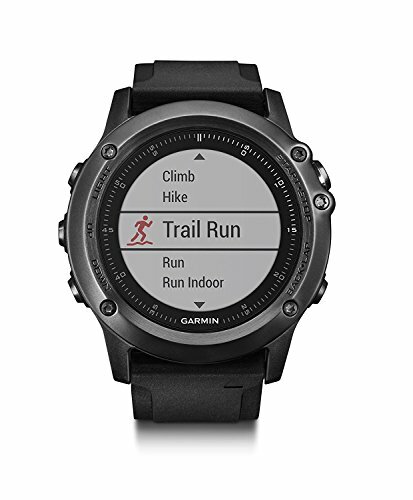 The Garmin Fenix 5 is probably the most feature-loaded fitness watch on the market right now. It’ll give you access to every feature from a highly-effective heart rate sensor to in-depth smart notifications. The former is very accurate and delivers extensively detailed fitness stats for you to analyse while the latter pushes every notification from your phone to the watch. One of the plus points of getting a dedicated fitness watch is battery life. The Garmin Fenix 5 does well in that area as well. With GPS and heart rate sensors on, you can get about 24 hours, without those features the watch will last you two whole weeks. What makes it really interesting is the Ultratac mode. On this mode, the watch will ping satellites every minute as opposed to every second. Turning this mode on will give you 60+ hours of run time! You wouldn’t expect anything less from a premium product. This is after all the best fitness watch with GPS in the premium segment. 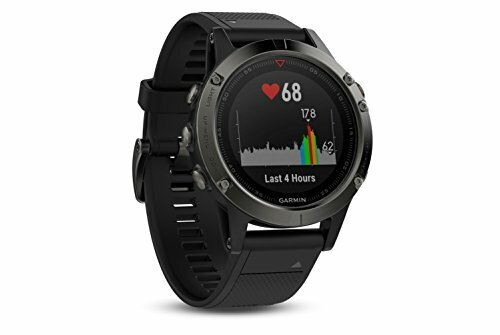 When the Garmin Fenix 3 HR was launched, it was hailed as one of the best all-around fitness watches with GPS in history. It still enjoys that same status even though it has been upstaged slightly by it’s bigger brother the Fenix 5. It is neither the most advanced nor the cheapest but it does offer that perfect blend of features and affordability. This means that the Fenix 3 HR still offers the best value for money. 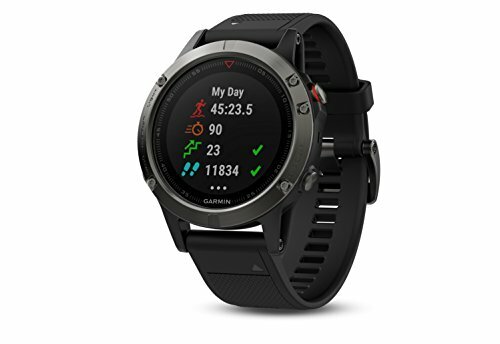 The Garmin Fenix 3 HR’s benefits are similar to the Garmin Fenix 5, albeit at a slightly reduced level. For instance, it can track a wide range of activities but not as many as the Fenix 5. 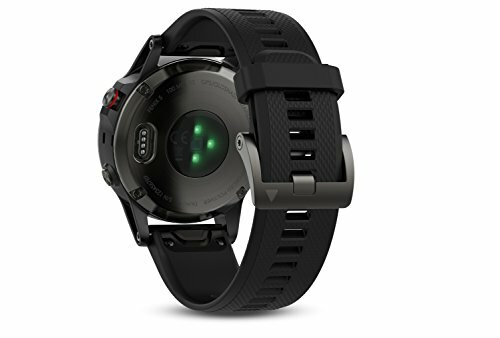 It is as rugged and durable as the Fenix 5 but is bigger and heavier. It even has a similarly advanced feature set with a heart rate sensor and smart notifications. The battery life of the Garmin Fenix 3 HR is slightly less than the more advanced Fenix 5. While this fitness watch can last two weeks in the smart watch mode, turning on GPS will reduce that to only 16 hours against the Fenix 5’s 24 hours. Similarly, the Fenix 3 HR’s Ultratac mode allows for 40 hours of use in comparison to the Fenix 5’s 60+ hours. These reduced capabilities mean that the Fenix 3 HR is much more affordable than the Fenix 5. 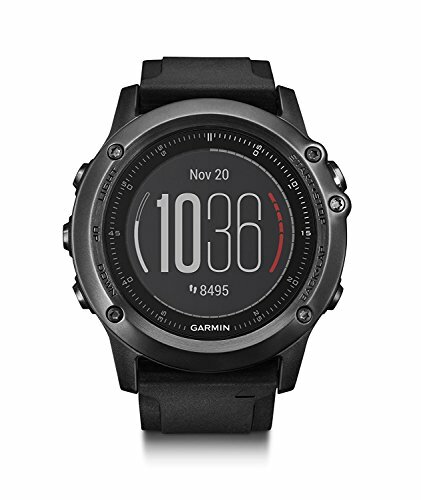 You can get the Garmin Fenix 3 HR for less than $400. While beginners can rely on their smartphones for fitness tracking and fully committed trainers will go for more advanced fitness watches with GPS, individuals in the middle will have different needs. The majority of fitness enthusiasts will find the Fitbit Ionic Smartwatch a good fit for their needs because of its extremely competitive price and smart device features. The Fitbit Ionic is a smart watch and has smart watch like features. It isn’t a dedicated fitness watch whose primary focus is on fitness tracking. It can be said that the Ionic bridges the gap between smart devices with some fitness tracking capabilities and dedicated fitness watches. This is the Ionic’s greatest strength. The Ionic performs its core function of fitness tracking well. Even though some doubts about its heart rate sensor persist, its core data is accurate enough to be relied upon. It features an inbuilt GPS system that will free your smartphone, sleep analysis, heart rate sensor, and even swim tracking with 50 meters’ worth of water resistance. In terms of its smart watch features, it has builtin storage for music and even mobile and NFC payments support, both of which are huge pluses. The Fitbit Ionic Smartwatch does fall short when you consider its design. Not many people will appreciate the almost 1980s square look with thick bezels. Between those thick bezels is a smallish touchscreen that acts up sometimes. Compared to its competitors, the Fitbit Ionic Smartwatch boasts of a good battery life but it is nowhere close to the battery life of dedicated fitness watches. In general use, the Ionic offers more than four days of battery life and with GPS on; it can go on for up to 10 hours. The best part, though, is that t won’t burn a hole in your wallet either. 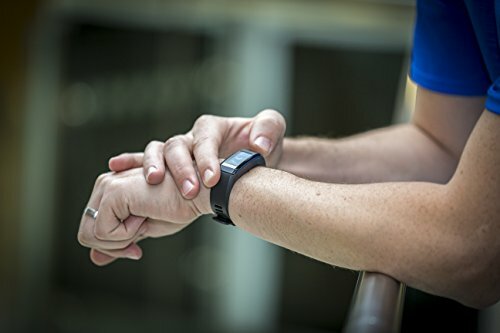 The Ionic is one of the most affordable and reliable fitness trackers you'll find anywhere. 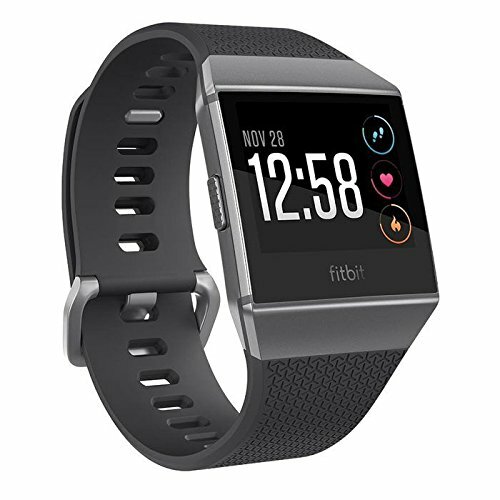 You can get the Fitbit Ionic Smartwatch for less than $300! It isn’t easy to find a fitness watch that fits your needs perfectly. Some of you may even be happy with an app on your smartphone. However, if you're committed to a healthy and fit lifestyle then, sooner or later, you'll need a dedicated fitness watch with GPS; like the ones we have reviewed above.